MiLinda V4 is a dark skin green eyed Latin looking beauty with tremendous looks and shape. She definitely has that and more. 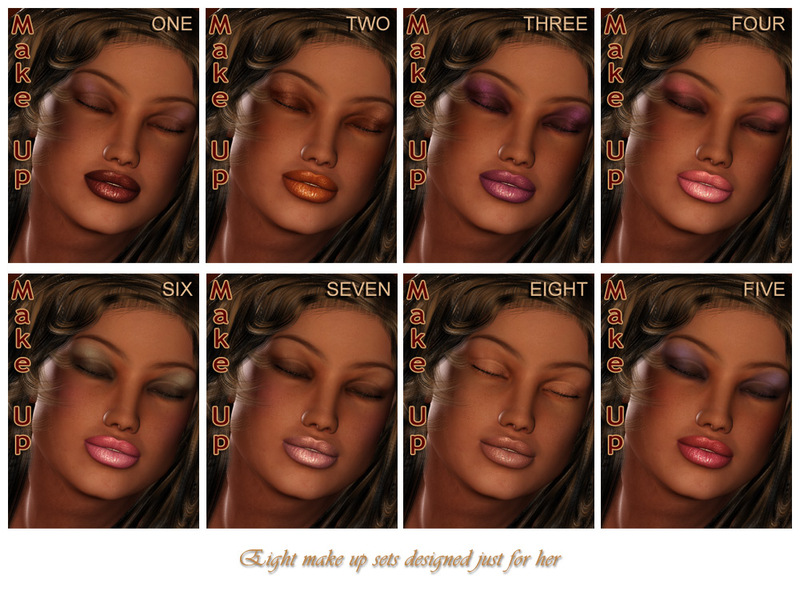 Great skin definition, awesome set of 8 make up mats and e gorgeous Second Skin sets created by Connie Long from Black Diamond Fantasy (Thank you again, Connie) especially for MiLinda V4..
MiLinda is one great character to have on your Runtime folder.